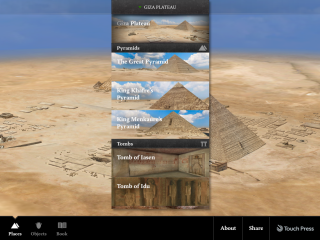 Pros: Digital re-creations have a realistic feel, and students can take control by exploring pyramids and examining artifacts on their own. Cons: Students who opt out of the audio tour can easily get lost in the pyramids and tombs. Bottom Line:Students can experience some of Egypt's most famous pyramids and tombs while learning more about the life of Ancient Egyptians.